After the launch of Apple iPad and iPad Mini the company launched the second generation of the Apple Airpods which came with wireless charging and were powered by the new H1 chip. Now, the Cupertino-based tech giant is planning to launch another product – the truly wireless Powerbeats earbuds in April. According to a report by CNET, the new earbuds will reportedly be using Apple’s new H1 chip which the company had earlier used in its newly launched updated version of the AirPods. The upcoming truly wireless Powerbeats earbuds will also have the same always-on Siri voice assistant with which the user can command hands-free. The Powerbeats will be different than the Apple AirPods as it will have a longer battery than the AirPods. The Airpods comes with around five hours of listening and running time so the Powerbeats will probably have a much longer running and listening time. The report also mentions that the timing of the new truly wireless Powerbeats lines up with the announcement of Beats X. The Beats X were announced back in 2016 shortly after the introduction of AirPods. And it was the same time when the company decided to build an iPhone without the 3.5mm headphone jack, the iPhone 7 and iPhone 7 Plus were the phones introduced alongside the Airpods. So, they came without a headphone jack, a trend which the Cupertino-based tech giant is following till now. There were also rumours about a higher end variant of the AirPods which would have noise-cancellation features and they would be an over-the-ear headphone. But the announcement of Apple’s wireless charging AirPods doesn’t fit with the line-up of the rumours. Talking about the Powerbeats, they would offer more features than what the Apple AirPods gives so they might have a different user-base than the AirPods. To start, the Powerbeats offer sweat-resistance and they are fit more securely than the AirPods so they could be used when working out. 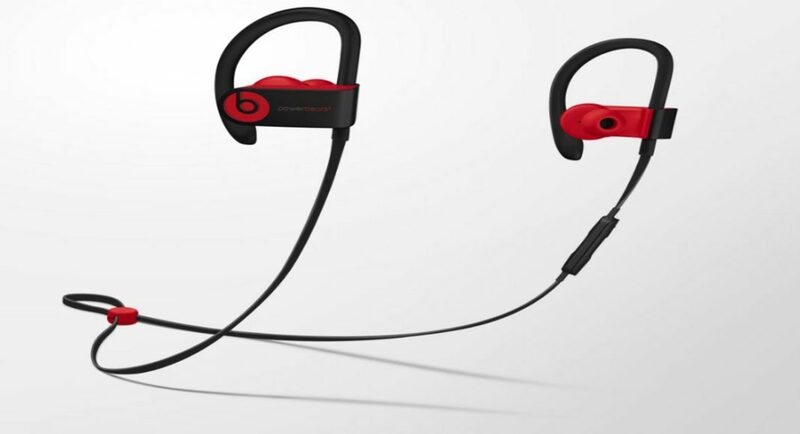 Although the price and other details about the new truly wireless Powerbeats is not available but the Powerbeats3 Wireless, an earphone joined by a cord sells for $199.95 (approximately Rs 13,840) on the official Beats website. But the same earphones sell for $99 (approximately Rs 6,847) on Amazon. So, there is a possibility that the new wireless Powerbeats could be priced around $250 (approximately Rs 17,250) or lower. With the launch of the new truly wireless Powerbeats, it will become the first earbuds in the entire Beats line-up to come with a truly wireless build.